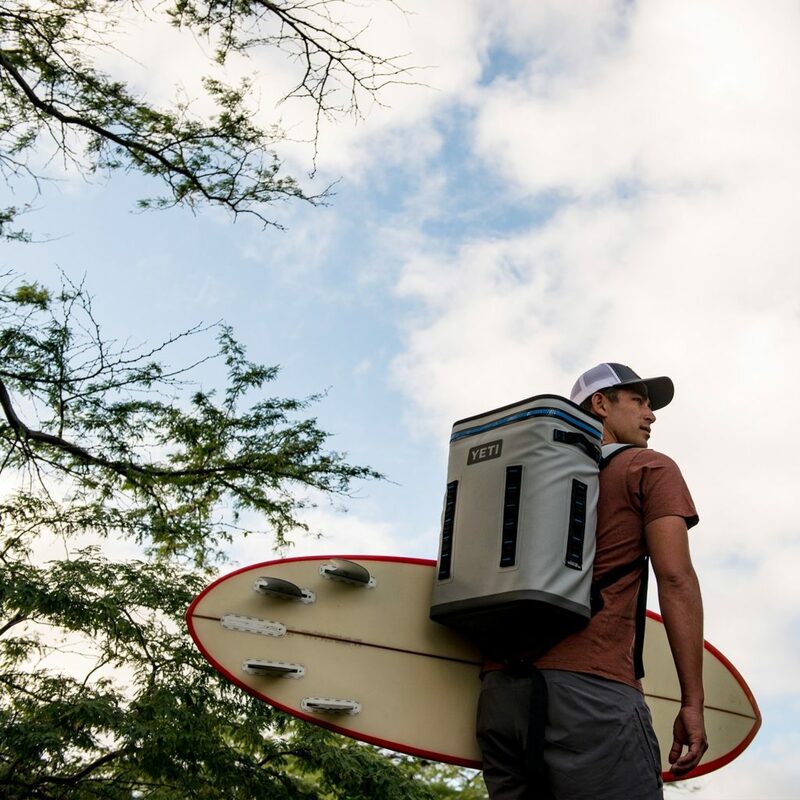 The Yeti BackFlip is an amazing soft sided cooler, that also happens to be an ergonomic backpack. 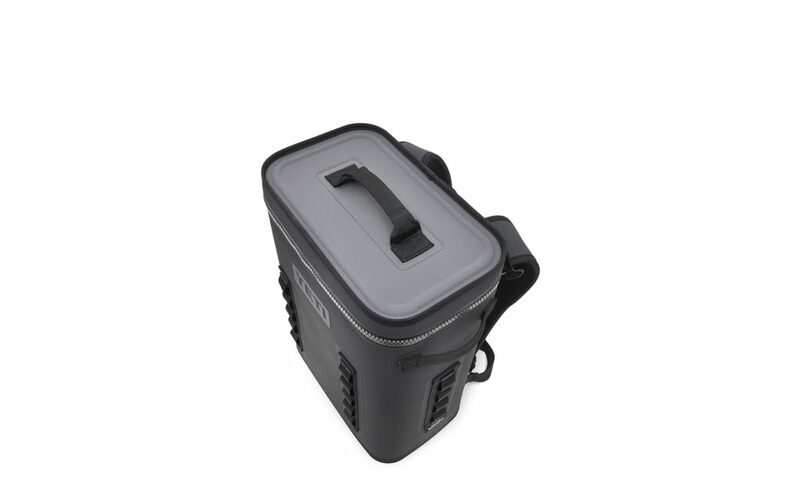 This backpack cooler is great for ice retention, durability and being waterproof but it lacks in external dry pockets, which makes it inconvenient for carrying other items without the expensive Sidekick Dry attachment. 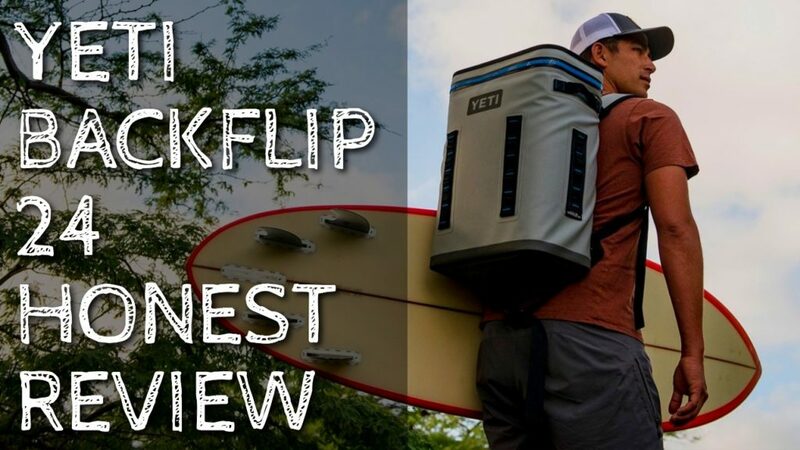 In this honest review we are going to talk about the pros and cons of the Yeti BackFlip 24 and whether or not it is worth your hard earned money. I must admit that initially when I heard about this new product from Yeti it sounded a bit useless. Who is going to need a backpack cooler with no pockets. Why not just by a SideKick? But as I looked into the product more and more it was obvious that this cooler would be an amazing option for some people. While it lacks pockets, which I hate, it does completely free up your hands for carrying items other than a cooler. Say you’re heading down to the beach with friends for the day. Throw on the BackFlip and your hands are still free to carry a surfboard, towels or other items. Going fishing and need to trek down a path to get to your favorite spot? With your cooler on your back your hands are free to carry your rod. Yeti loves making overbuilt and extremely high quality products for the outdoors and the BackFlip 24 is no exception. The BackFlip is made with Yeti’s “DryHide Shell”. 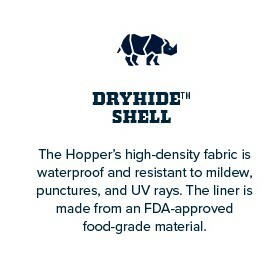 That’s a 840-denier nylon that is ‘TPU-laminated” and abrasion and puncture resistant. 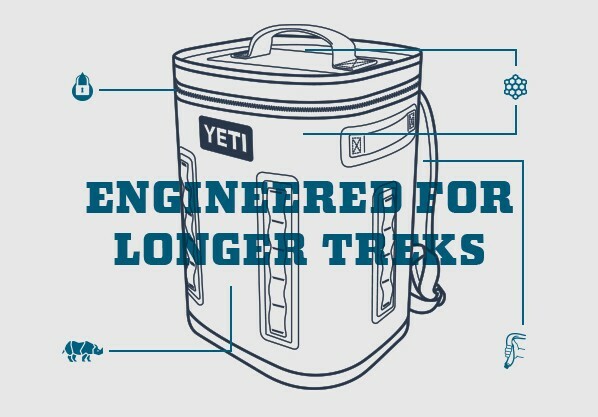 Yeti also uses RF-Welding to allow for minimal sewing, making the cooler overall less prone to tears. Those are some big words so let’s break it down so you can see just how tough this cooler backpack is. Nylon is a strong and durable fabric that can resist heat well and also resist abrasion. It’s not really known but Nylon is also great for reducing mould which is a must with a backpack cooler. Denier refers to the weight and the weave of the nylon. 840 is high, meaning the nylon is dense and strong. Thermoplastic polyurethane is the ultimate partner for the nylon. It is an elastomer which has excellent abrasion resistance, waterproofing, durability and has the added benefit of remaingin flexible in low temperatures. Combining the nylon and TPU means the Yeti BackFlip is comfortable to touch, being soft and flexible but at the exact same time it’s resistant to tears, strong af and of course…waterproof. Also known as high-frequency welding it’s a method of joining thin sheets of material together by using a high frequency electromagnet. Basically this causes 2 pieces of material to weld together. Ok so maybe I bored you a little with the lingo but I thought it was important and interesting to know what goes into making this cooler so durable. I’ll be honest with you – soft sided coolers are not known for their ice retention. With most soft sided coolers you’d be lucky to keep ice for a day. 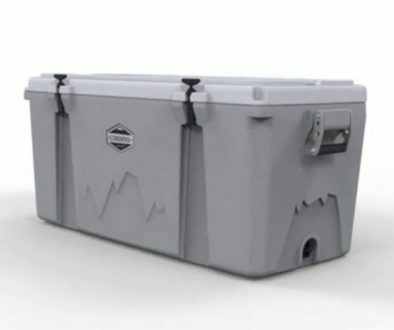 Many tests have been done on Yeti’s range of soft sided coolers that prove that you can expect 2-3 days of ice retention from the Yeti BackFlip. This video shows the Yeti Hopper Flip 18 (which is smaller than the BackFlip) holding ice for almost 3 full days. How Does The Yeti BackFlip Keep Ice So Long? The BackFlip uses closed cell foam. This is an insulating material that is extremely pliable and extremely durable. 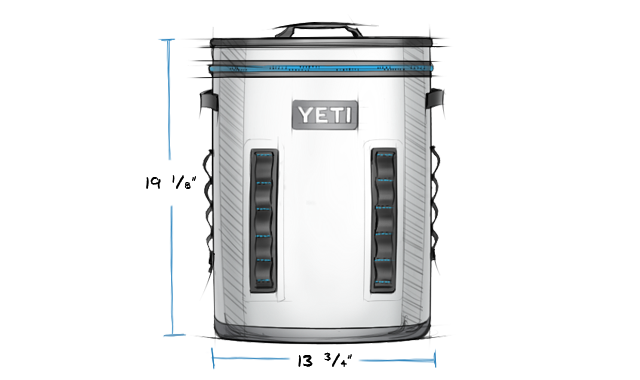 It’s different to the insulation used in Yeti’s hard coolers (polyurethane) which is too rigid to be used in a backpack cooler. 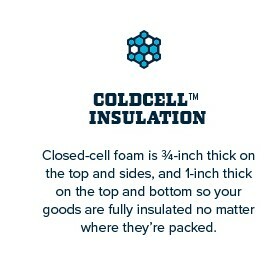 The BackFlip has 0.75 inches of insulation on the sides and 1 inch of insulation on the base and lid. This insulation is much thicker than most backpack coolers, which explains the better ice retention. 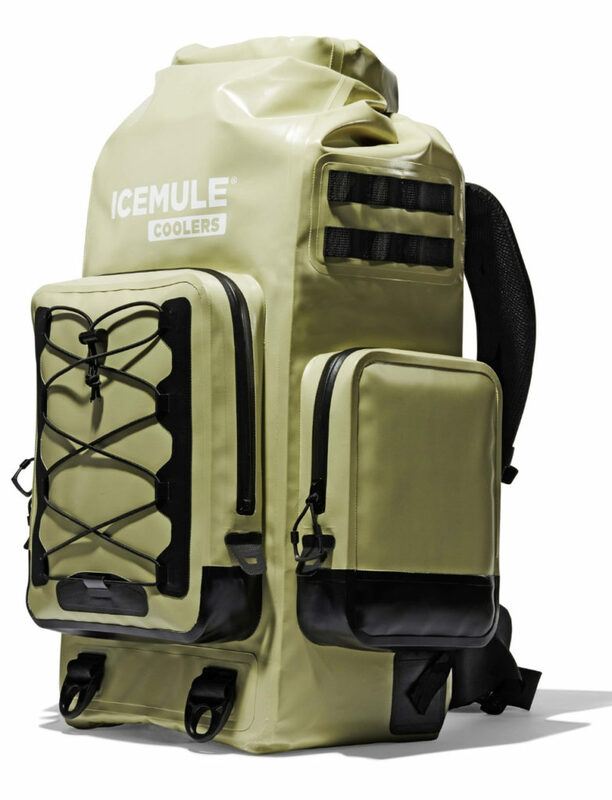 The IceMule Boss is slightly more expensive than the Yeti but is arguably a better backpack cooler. It has multiple external pouches that are all waterproof meaning you can carry your phone and other electronics with ease. It also had a padded hip-strap for added support,a ventilating airmesh back pad and a larger capacity, holding a whopping 30L. However, it does have less insulation (1.2 inches instead of 1.7 inches in the Yeti) and the roll down lid is less convenient than the zipper on the Yeti. Both are great backpack coolers, with different pros and cons, which one you prefer is up to you. 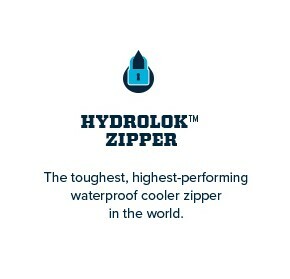 The BackFlip uses a ‘Hydrolock’ zipper which keeps the bag completely watertight, even when placed upside down and full of water. This is the same type of zipper that is used in high-performance emergency gear like a Hazmat suit. It’s needs to be lubricated or it breaks – Yeti provide you with lubrication for the zipper which you must apply otherwise the zipper will break. I find the zipper way more practical (even with the need for lubrication) when compared with the roll down mechanism of something like the IceMule Boss. It’s not perfect, but it does the job and means your back isn’t going to get wet and your contents aren’t going to leak out while your moving around. 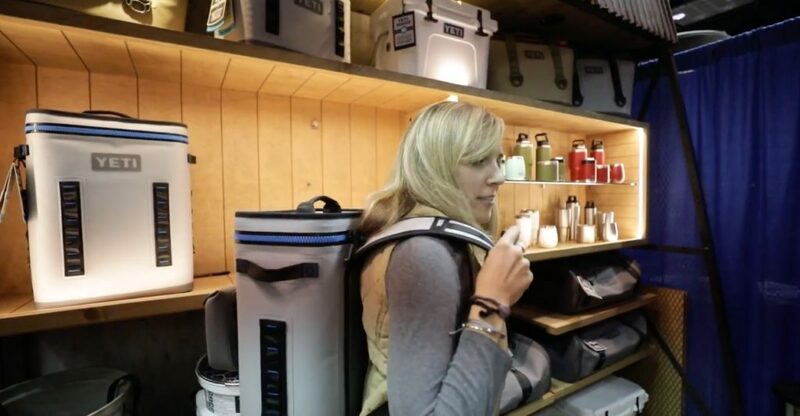 A backpack cooler MUST be comfortable, especially when full loaded. You’re packing these things with heavy ice as well as food and drinks so it gets pretty heavy pretty fast. Yeti achieves comfort in a few different ways. Compared the the Hopper Flip the BackFlip is taller and wider. Being taller and wider means that weight is distributed better making for easier carrying. The shoulder straps are thick and padded. This means they don’t dig into your shoulders like thinner unpadded straps would. They are a good thickness and they are well separated and fit most people from your tall broad man to your smaller more petite woman. There is a chest (sternum) strap to add more security when carrying a full loaded cooler. The hip-strap isn’t padded, which I think it could be, but it does the job and helps take the weight off your shoulders a bit. It’s also removable if you don’t think you’ll need it. Yeti don’t make cheap products and the BackFlip is no exception. It is much more expensive than other cheap backpack coolers you could find on Amazon, but it’s a very different product. It is much more durable, has much better ice retention and is made by a premium brand. It’s really interesting that the BackFlip 24 is the same/similar price as the smaller Yeti Hopper Flip 18, which doesn’t have back straps. As you can see the Yeti is actually priced pretty competitively when it comes to premium backpack coolers. It is less expensive than the IceMule Boss and slightly dearer than the Orca Pod. It’s in a pretty sweet spot in regards to pricing. The BackFlip comes in 2 different color options. Grey/Blue and charcoal. The Grey/Blue is the more popular and promoted color but I personal prefer the charcoal. What do you think? Before we finish up this review I want to take time to talk about some of the other cool features that are included in the yeti BackFlip. There are 3 handles on this cooler. One top handle and 2 side handles. Yeti state that these handles have been tested to be able to hold weighs and force well beyond the limit of what would be normal for everyday use. This means you can use the handles to lift a full loaded cooler without having to worry about them ripping or tearing…ever. The rectangular base and strong walls of the BackFlip means it is easy to stand up on the ground. This make it super simple to load up and super simple to get items out of. The wide lid with the wrap around zipper also just means it’s really easy to see what’s in your cooler without too much fuss. The BackFlip is primarily a cooler yes, but it can also act as an amazing waterproof backpack for dry items and it can keep items warm if that’s what you would prefer. There is a “Hitchpoint Grid” on the cooler which is similar to in some ways and does fit some molle accessories. However it runs vertical (vs horizonal Molle webbing) and the webbing is spaced very far apart. 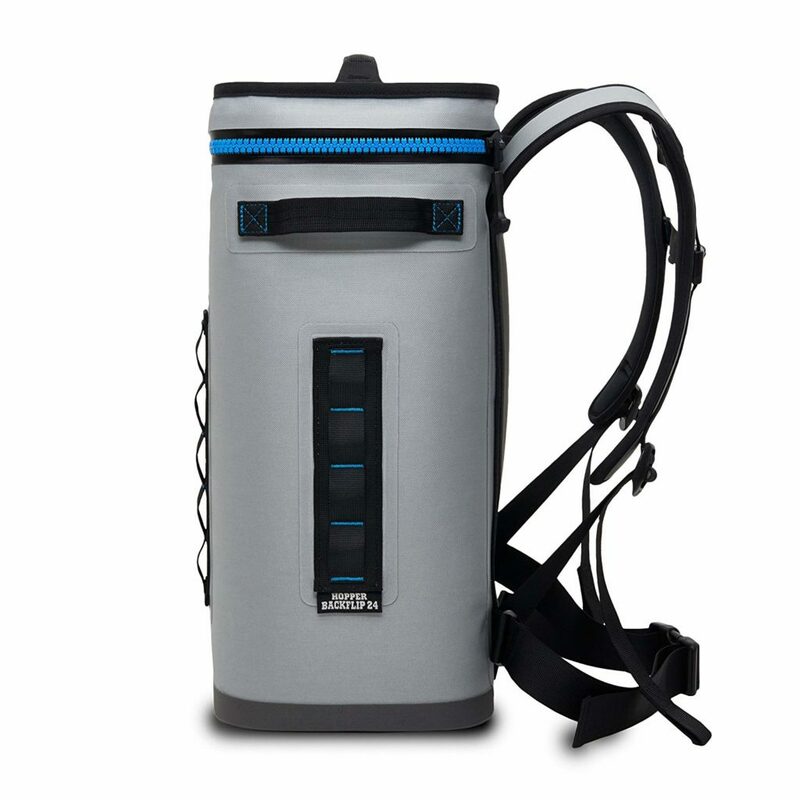 It’s basically designed to fit Yeti accessories like the Sidekick dry or Yeti bottle openers but not much else. A true molle webbing would have been more versatile but I guess Yeti don’t want you attaching non-Yeti products to the side of your cooler. The BackFlip is basically a cooler with back straps. It has a single cooler compartment and that is it. There are no external pockets or external storage. In order to gain a single external pocket to store items like your phone or dry food you need to buy the Yeti Sidekick dry. While the Sidekick Dry is an epic little accessory, it doesn’t come cheap at around $50. This puts the price of the BackFlip in line with that of the IceMule which has more storage space and 3 waterproof pouches. But if you love the BackFlip and want to add a pocket then the Sidekick dry is definitely worth it. When people have issues with this product often it comes down to the zipper breaking, getting stuck or not working properly. The insulation in the BackFlip works both ways. It can keep cool things cool or warm things warm. But this has the downside in that if you don’t prechill your cooler first it can melt ice really quickly. This is because the insulation can retain heat. So if you store your cooler in a hot place (like in your car) before you fill it up then you can get subpar performance. So many sure to prechill your cooler first, I like to do it with frozen water bottles, before you use it. We already discussed pricing up above but the Yeti cooler is expensive compared to other backpack coolers. While it isn’t a deal breaker the hip strap isn’t padded. When fully loaded this cooler can be quite heavy and a padded hip strap would help ease the load. But in saying that it can be quite a dorky unattractive thing if you don’t need it. So the fact that the hip strap is removable for some people is probably a major positive. 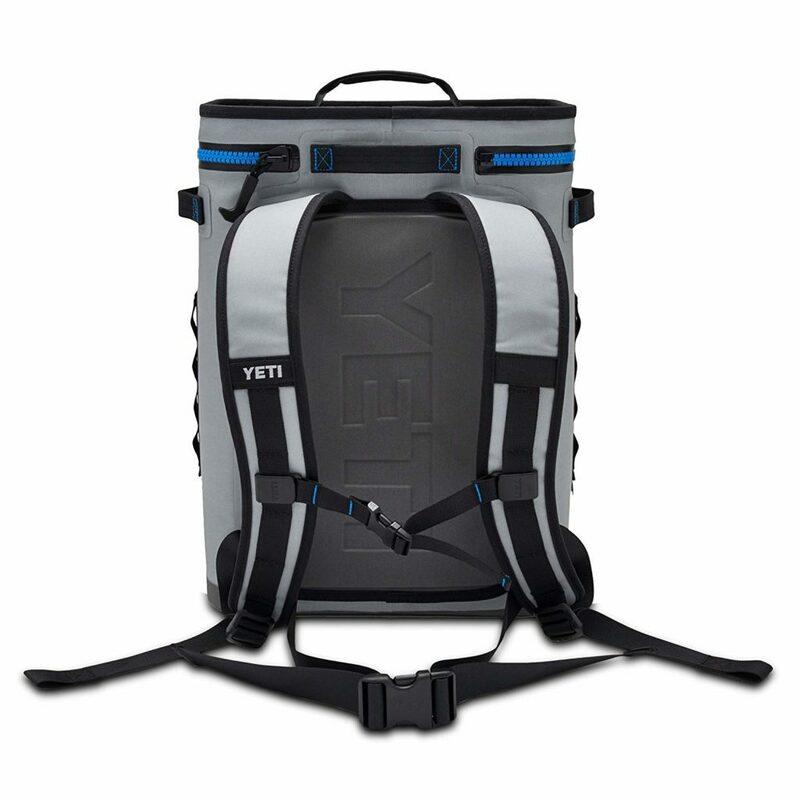 In my honest opinion I think the Yeti BackFlip is a well build, over-engineered (in a good way) backpack cooler. 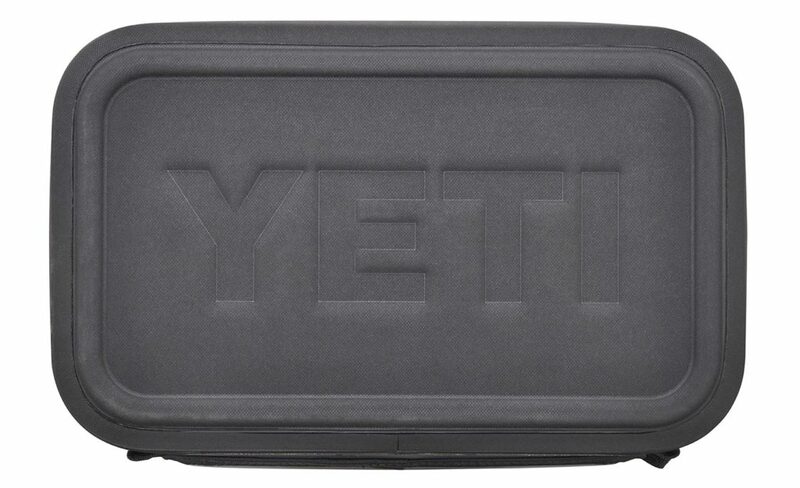 If you are looking for a high quality backpack cooler then the Yeti isn’t going to let you down. My biggest gripe is honestly the lack of external pouches. I am a tech geek and despite loving adventuring I also want to take my phone with me and a batter pack and some dry food and other stuff. Having just the one cooler compartment isn’t enough for me and while the Sidekick Dry is awesome it’s still only a single pouch. I want more pouches!!! But apart from that I love this cooler and it’s priced comparable to the smaller Hopper Flip 18 so I would definitely personally buy it over that. 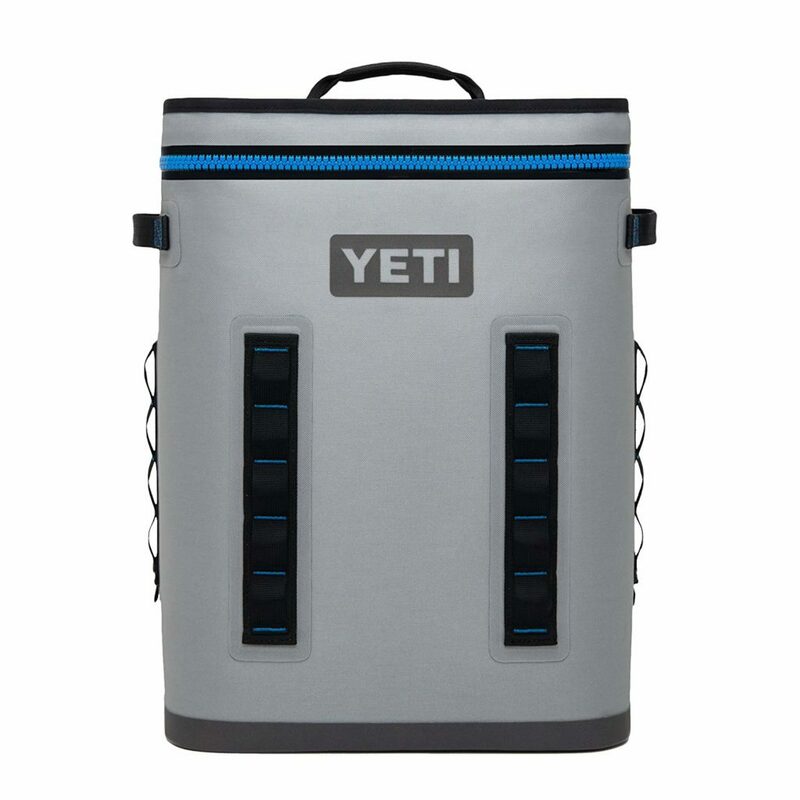 If you think this cooler may be for you then click the affiliate link below to go to Amazon to see the latest pricing and read customer reviews. Alternatively if you think the IceMule Boss (with it’s 3 pouches) may be a better buy for you then click the affiliate link below to see that product. 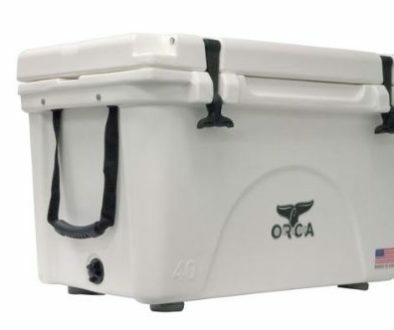 Orca Cooler Review – These Coolers Are Better Than Yeti! 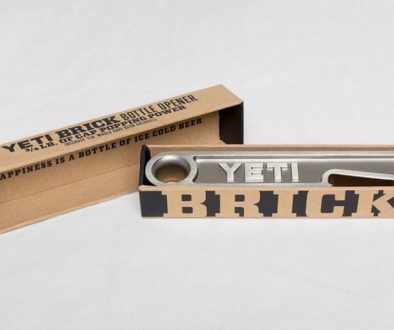 Yeti Brick Bottle Opener Review – Is It Worth Buying?